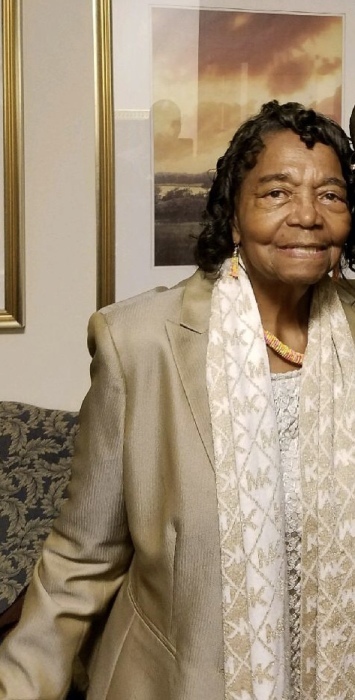 We, the staff and Management of Charles Edwards Funeral Home and Cremations, mourn with the Williams/Matthews family in the death of their loved one, Mother Edna Earl Matthews Williams of Greenville NC who departed this life Thursday April 4, 2019. Mother Williams was born June 8, 1936 in Pitt County to the late James and Ada Ellis. She attended the local schools and was employed as a caregiver. She was a member of Dilda's Chapel FWB Church where she served as Sr. Usher's Board President, Consecrated on the Mother's Board under Bishop Jessie Jones, and also a member of the Faithful Club of Farmville. She is survived by: Three sons; Wayne Matthews of Waldorf, MD, Larry Matthews of Bowie, MD, and Earl Matthews, Sr. of White Plains, MD. One Daughter; Linda Matthews-Tyson of White Plains, MD. One sister; Ruby Fate of Wilson NC. Eight Grandchildren, Six Great-Grandchildren, One Great-Great Gandchild along with a host of nieces, nephews, other relatives and friends. Please keep the Williams/Matthews family in your thoughts and prayers during these days of bereavement.